Fortnite broke all records last year, while Epic’s game has continued to attract new players in 2019. Also, the game’s weekly challenges have kept players engaged for some time now, with Epic recently revealing the new challenges players will get to enjoy this week as season eight of Fortnite moves on. The free challenges corresponding to season 8, week 4 are the following: Land at Tilted Towers, Use The Baller in different matches and Get an elimination with a Scoped weapon and a Suppressed weapon. 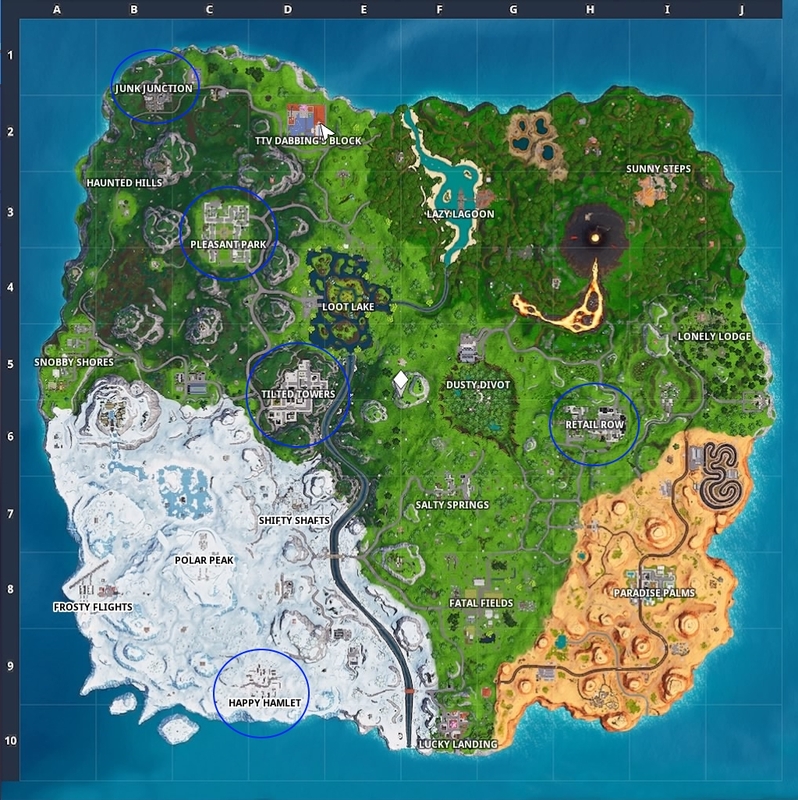 The first challenge is of the “land at” variety we have already seen earlier this season (such as in week 2), only of course the locations you have to land at are different this time. This is just a matter of jumping off the bus as close as possible to any of these locations and then perform a landing by gliding and skydiving (make sure you do stick the landing though…). Also, beware if the location is in the path of the bus, as it’s likely many players will be jumping off to land at it – if you’re able to land though, you will have completed the current stage of the challenge, and if you’re eliminated you can always start another game in order to continue with the challenge. The locations you’ve got to land at in each stage in order to complete this challenge are the following: Tilted Towers, Junk Junction, Retail Row, Happy Hamlet and Pleasant Park. In order to make your life easier, I’ve marked these on the map below. 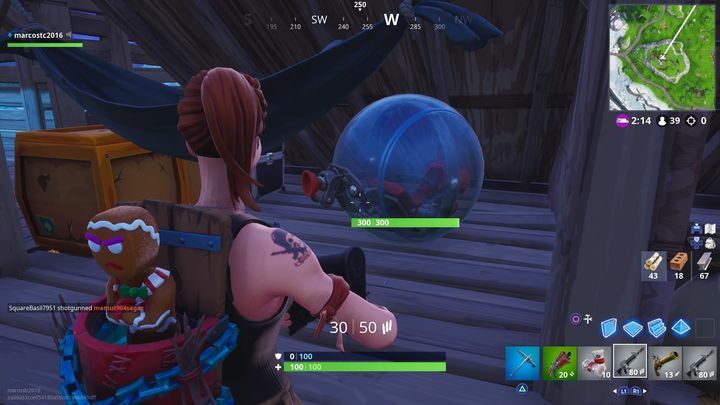 The second challenge involves using Fortnite’s cool new Baller vehicle in 5 different matches. Fortnite may have lost the Stormwing plane this season, but the Baller sure is a great replacement for it. The first thing is to know where to find the Baller in order to use it – just getting on the ball-shaped vehicle and getting off again will count towards completing the challenge. The Baller can be found next to the game’s Expedition Outposts – there are usually a few parked outside each post for you to hop in. The Baller can also be found at a few other places too, and you should be able to find one or two in some Pirate Camps as well. These vehicles are pretty tough and will shield you from enemy fire for a while (great if you need to run away from an opponent), but getting to them can be tricky in solo Battle Royale. If Ballers are far away from your landing location, you could get eliminated on the way. 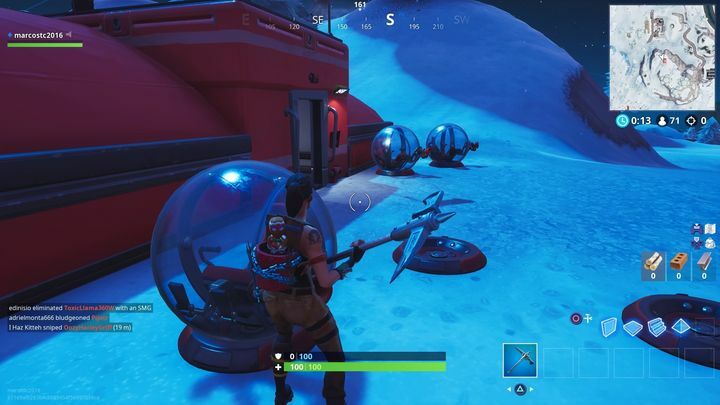 Therefore, playing a squad-based mode such as Team Rumble, or landing as close as possible to an Expedition Outpost could make it easier to complete the challenge. This week’s third challenge is the hardest of the lot, as it involves eliminating opponents with a specific kind of weapon. Actually, two kinds of weapons: you’ll need to eliminate an opponent with a scoped weapon and a suppressed weapon. 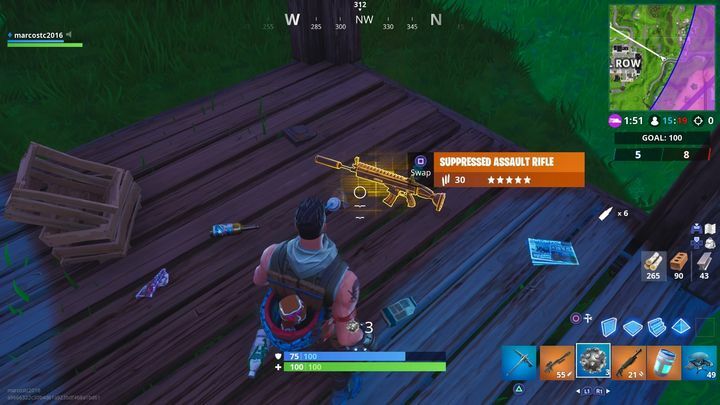 Of course, you can kill two birds with one stone if you can get hold of a suppressed sniper rifle, as it counts both as a scoped and suppressed weapon, plus the victim will never know what hit them… Other suppressed weapons include the suppressed variant of the pistol and SMG, amongst others. The assault rifle and pistol also have scoped variants. 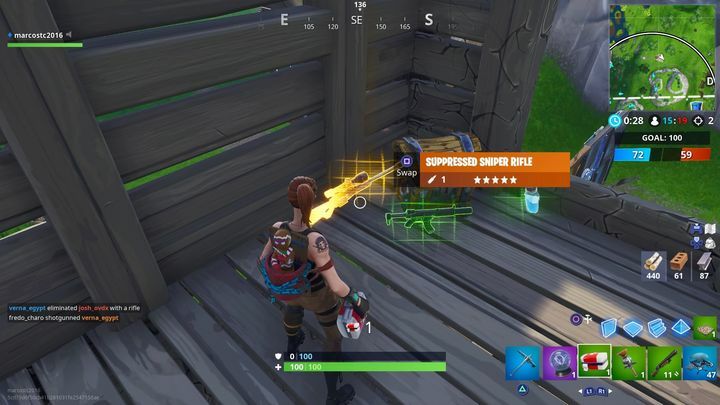 These weapons sometimes pop out of chests when you search, and can also be found in supply drops too. To make this challenge easier, it’s also a good idea to play a team-based mode such as Team Rumble. This is because once you get hold of the weapon you need you’ll be able to keep it until the end of the match, as you’ll respawn with all the gear you’re carrying if you’re eliminated. If you’re new to Fortnite, know that you can change game modes in Battle Royale by pressing the use button in the Lobby screen (this is the X button on Xbox One and the Square button on PS4). That’s it for Fortnite’s fourth week challenges then, and here’s hoping that Epic comes up with a new batch of interesting challenges for the coming week too, even if the current lot should keep Fornite’s players busy until next week’s challenges arrive in a couple of days’ time.